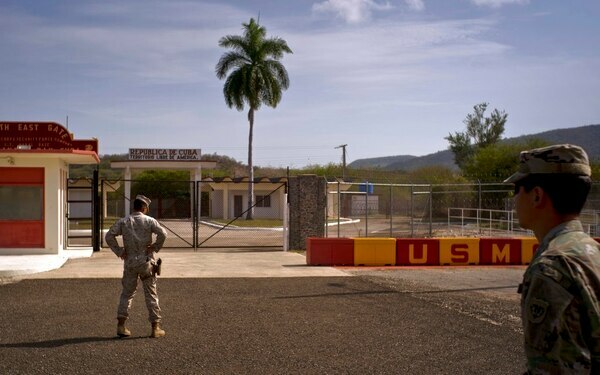 GUANTANAMO BAY NAVAL BASE, Cuba — A new dining hall for guards at the Guantanamo Bay detention center has a shimmering view of the Caribbean and a lifespan of 20 years. Barracks scheduled to start getting built next year are meant to last five decades. And the Pentagon has asked Congress to approve money for a new super-max prison unit to be designed with the understanding that prisoners will likely grow old and frail in custody — some perhaps still without being convicted of a crime. President Donald Trump’s order in January to keep the Guantanamo jail open, and allow the Pentagon to bring new prisoners there, is prompting military officials to consider a future for the controversial facility that the Obama administration sought to close. Officials talked about the plans in an unusually frank manner as a small group of journalists toured the isolated base where 40 men are still held behind tall fences and coils of razor wire on the southeastern coast of Cuba. 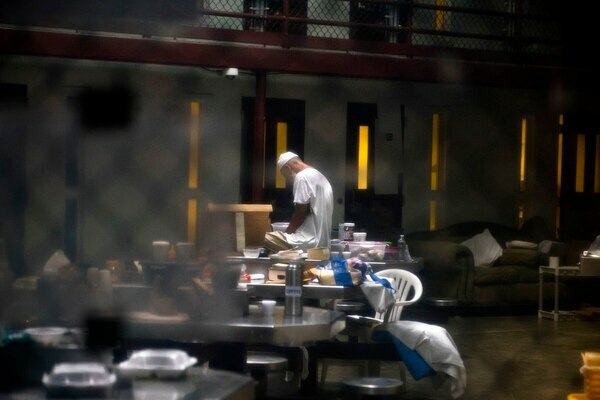 In the last comprehensive review of prisoners held at Guantanamo Bay, the U.S. government decided nearly 50 were "too dangerous to transfer but not feasible for prosecution," leaving them in an open-ended legal limbo. The Pentagon was investing in upgrades at the Navy base under President Barack Obama, whose push to shutter the detention center couldn’t overcome opposition in Congress. But those projects, including the $150 million barracks, were funded with the understanding that they could be used by the personnel of the Navy base that hosts the detention center. Now they are viewed as part of a broader effort to be able to operate the prison for many years to come. The Pentagon wants at least $69 million to replace Camp 7, the super-max unit that holds 15 men designated as “high-value detainees” who were previously in CIA custody. They include five men facing trial by military commission at Guantanamo for planning and aiding the Sept. 11, 2001, terrorist attack on the U.S. The men could get the death penalty if convicted, but the proceedings have been bogged down in pre-trial proceedings for years and any conviction would likely bring years of appeals. Officials say Camp 7 is in need of major repairs, with cracking walls and a sinking foundation, and it is not suitable to hold men who will likely be in custody for many years to come. The new unit, which would be known as Camp 8, would have cell doors wide enough for wheelchairs and hospice beds and communal areas so elderly prisoners could help each other as they grow old. The White House has endorsed the proposal but it is not known whether Congress will approve it. 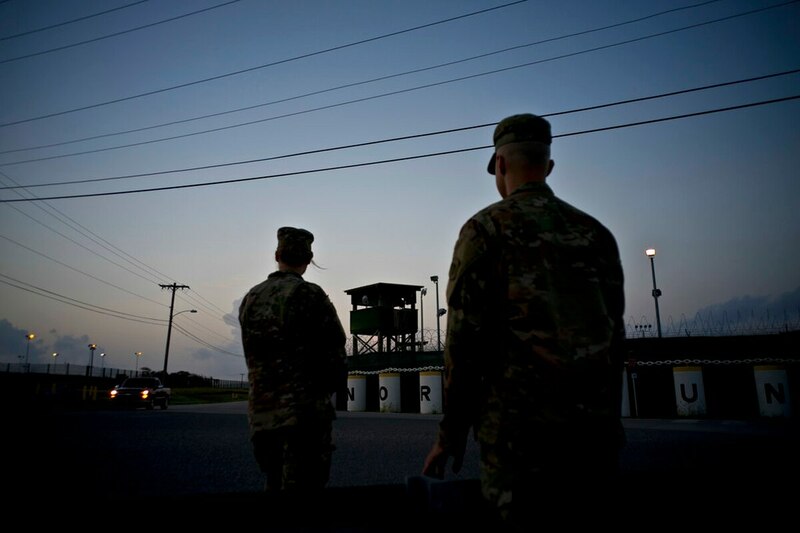 The 40 detainees left at Guantanamo include five who were deemed eligible for transfer under Obama but couldn’t clear the bureaucratic and diplomatic hurdles before he left office. Of the remainder, nine have been charged in the military commission system and are in proceedings at various stages. The remaining 26 have neither been charged nor deemed eligible for transfer. They are being held in indefinite detention under what the U.S. asserts are the international laws of war. The military allowed journalists a brief visit this week inside Camp 6, where most of the prisoners are held, as the men milled about and conducted late-afternoon prayers. The detention center opened in January 2002 under President George W. Bush as a makeshift place to hold and interrogate people suspected of involvement with al-Qaida and the Taliban. Global outrage erupted over the treatment of prisoners and the Supreme Court ultimately ruled that anyone held there was entitled to challenge their detention in American courts, eliminating one of the main rationales for using Guantanamo in the first place. Bush eventually said the jail should close and released more than 500 prisoners. Obama said the facility was damaging U.S. relations around the world and was a waste of money, costing more than $400 million a year to operate, and ordered it closed shortly upon taking office. But Congress blocked closure and passed legislation that barred any of the men held there from being transferred to U.S. soil, even for criminal trials. His administration transferred 242 prisoners out of Guantanamo. Trump has so far allowed only one prisoner to leave: a Saudi who was transferred to his homeland to serve out the rest of his sentence as part of a plea deal. Officials at the detention center said they could take in about 40 more male detainees without any changes to staff levels and about 200 if additional guards are brought in. No such request has come from the administration, Ring said, but he added that he has been asked “some hypothetical questions” about capacity. “We are not imminently expecting any new guests if you will,” he said.